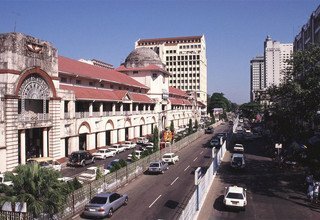 Upon arrival at Yangon International Airport, our tour guide would welcome and transfer to hotel for check in.After refreshment, half day sightseeing includes China Town, Sule Pagoda, City Hall, Colonial Building (Old Town), Botataung Pagoda (Yangon River & Jetty). At sunset, visit Shwedagon Pagoda, enjoy the wonder of pagoda & Buddhist devotees’ way of worshiping and the scenic view of sunset from the pagoda. Overnight at hotel in Yangon. After breakfast at the hotel, transfer to airport for flight to Heho, upon arrival at Heho airport, drive to Loikaw, the capital of Kayah State. 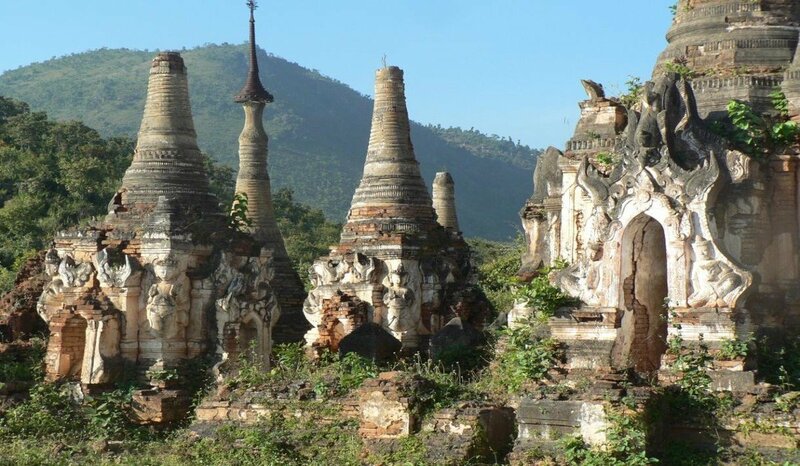 Kayah State known in Myanmar Literature as Ngwe Taung Pyay, the country of somas. Arrive Loikaw, visit Thir-Mingalar Taung-Kwe Pagoda Hill, Culture Mesume, Naung Yar Lake, Myo Nan Ceti, Weaving and Old Church. Late afternoon, check in and overnight at hotel in Loikaw. 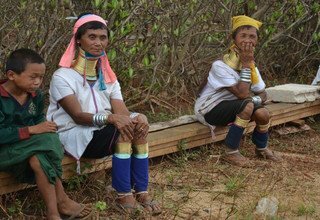 After breakfast at hotel, visit around villages where who lives Padaung tribes known as Griffins Women. The day begins with a visit to Rang Ku hamlet, where guests can mee the famous Kayan people (popularly known as Long Neck Karen), who are a symbol of Kayah state.Enjoy learing a few words of Kayan language and interacting with these fun-loving and artistic people. There are opportunities to by local handicrafts. Next, guests arrive at Pemsong village, to enjoy a Short Trek, of approximately 1.5 to 2 hours, lead by local community tour guides. Your local guides will present special places along the route which are important to local people and their way of life. A highlight of the trek is a breathtaking, 360 degree view of the surrounding, mountains. Overnight at hotel in Loikaw. After breakfast at the hotel, transfer to Phekon by car. Arrival at Phekon jetty and private boat trip to Inle lake. In the afternoon, check in hotel at Inle Lake or Nyaung Shwe. 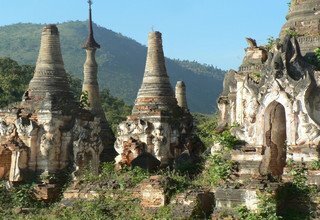 Half day sightseeing in Inle Lake includes: Phaung Daw Oo Pagoda; the most famous pagoda of the Shan State, Nga Phe Chaung Monastery, etc. Enjoy sunset and leisure at Inle Lake. Accommodation: Hotel in Inle Lake or Nyaung Shwe. Full day boat excursion in Inle~Indein. Indein Temple is a complex which travelers express as Mini- Angkor. After a short distance walk through the bamboo forest , the exciting vie Indein Temple complex is situated in the western shore of the lake and most of the internal wall of the ruins of 1054 shrines make you say “wow”.. In the afternoon, visit Impawkhone silk weaving village, a blacksmith, Cheroot making and surrounding villages. Accommodation: Hotel in Inle Lake or Nyaung Shwe. After breakfast at the hotel, excursion in Inle Lake by boat which includes a visit to a market and a monastery with many old Buddha Images. Afternoon tour highlights include village of silversmiths, wonderful floating gardens and explores Leg rowing fishermen life on the Lake. After sightseeing in Inle lake, transfer to Jetty by boat and proceed Heho by car. Arrive at Heho airport for flight back to Yangon. Upon arrival at Yangon, transfer to Hotel. Overnight at hotel in Yangon. After breakfast at the hotel, Full day sightseeing includes: National Museum, Chauk Htatt Kyi; Colossal Reclining Buddha Image and Bogyoke Market (Scott Market). In the evening, drive around the Kandawgyi (Royal Lake) and enjoy sunset of Yangon from Kandawgyi Lake.Overnight at hotel in Yangon. 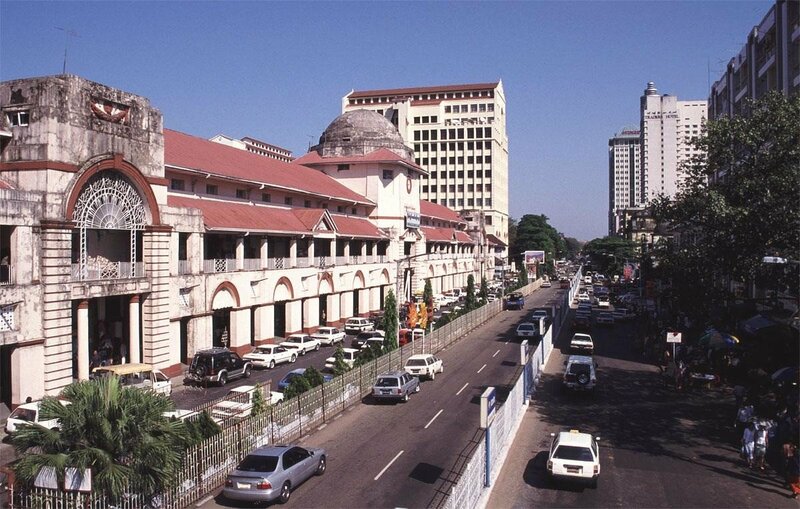 In the early morning, breakfast at the hotel and transfer to Yangon International Airport for your departure flight.